Though this is easier said than done, the numbers don’t lie. Over 30 years from 1983 to 2013, the Standard & Poor’s 500 Index achieved an annual return of 11.1 percent, while investors in equity mutual funds earned only 3.69 percent. For a $10,000 investment, this gap amounted to over $200,000. For the 20 years between 1993 and 2013, investors also fell short, earning just over 5 percent on average each year, while the index earned over 9 percent. This meant a shortfall of over $31,000. State Street’s Center for Applied Research completed a study to try to answer the question, “What does true investment success look like?” According to Suzanne Duncan, Global Head of Research at State Street, people did not have investment success because they were overconfident in their investing ability, unable to focus on their stated long-term goals when distracted by noise in the markets, and had come to distrust their advisors and lose interest in receiving professional help. Both advisors and investors have work to do. Setting financial goals and sticking to them sounds like a logical way to deal with money. The growing field of behavioral finance seeks to explain why emotions and psychology cause us to make irrational decisions that take us off course. It’s tempting for investors and advisors alike to be swayed by how the markets are performing in the short term. Just as with the other parts of a family plan, successful investing requires a long-term strategy. Investors face tempting distractions that can cause them to lose focus as well as money. If the financial tactics become disconnected from a family’s goals, members will ultimately suffer. The allure of large gains is an elusive pursuit. There’s always a hot idea that promises a way to get rich quick. More often than not, such efforts prove to be futile. It’s better to go for quiet, tried and true, long-term compounding of interest. It may seem boring, but it works. If done well enough, the successful investor can afford to purchase many other exciting things by avoiding foolish schemes. Following the crowd can take you right off the cliff. It’s tempting to jump onto the bandwagon for a popular new product when everyone else is too. Trendy may be fine for fashion. But it’s not always wise for investing. Using the wrong map leads to the wrong destination. Many people seem to thing the financial markets should cooperate with their own personal economic or political viewpoint. It is hard to be right on those factors and then have the markets cooperate with your opinions. It seems better to know that the market went up 8 percent compounded over the last 200 years, albeit not in a straight line, and plan accordingly. Making decisions based on short-term market movements is like a whipsaw. It can be painful both ways. Even the experts can’t win at timing the market. Getting distracted by what the market is doing today can cause mistakes tomorrow. Don’t confuse volatility with risk. If stock of a quality company becomes available at a lower price for a short time, that doesn’t mean the company has changed. It could just be on sale. Volatility can be measured, fitting into a tight little number. Risk is the permanent loss of capital. Think back to some of the Internet favorites of yesteryear whose market values were once huge, but now the companies no longer exist. Here are several remedies a family can look to when the financial environment tests its confidence. Lean against the wind. Consider the contrarian’s point of view. Time is your friend. 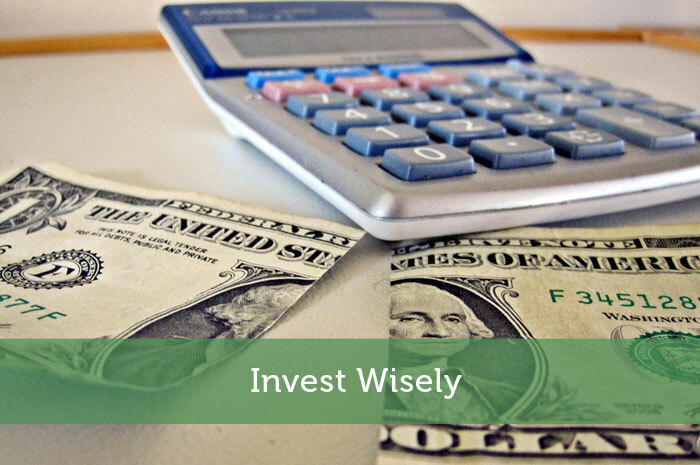 Investing early gives the money more time to grow through the magic of compound interest. Don’t be forced to sell. Plan in advance for spending so investments don’t have to be sold at inopportune times. Practice patience. Making money wisely takes time. It’s not a straight path to profits. Instead of measuring progress against short-term stock market returns, stay focused on what the money is supposed to be accomplishing. The biggest risk families face is the possibility of lowering their standard of living through poor investment choices. Investors who train themselves to think about where the conventional wisdom could be wrong and act on their own convictions can do better than average. Those who can also stick to a sensible long-term plan will likely do quite well. There’s nothing wrong with investing in the family itself. Sometimes the best proposals come from within. Excerpted from The Business of Family: How to Stay Rich for Generations. Copyright © 2015 Linda Davis Taylor. Reproduced with permission of Palgrave Macmillan. Author Bio: Linda Davis Taylor, author of The Business of Family: How to Stay Rich for Generations, is the CEO and Chairman of Clifford Swan Investment Counsel in Pasadena, California. A participant in a fourth generation family business, Linda is a frequent speaker on wealth transition, family governance, and philanthropy. In addition to her investment counsel career, she has had over twenty-five years experience in senior leadership positions at Emory University, Claremont McKenna College, Amherst College, and Scripps College. Linda has served as a trustee for numerous educational and non-profit organizations and is a co-founder of a private foundation. She and her husband are the parents of two adult daughters. Great tips! So much of it comes down to learning and proper planning. Good investing requires patience. This is such a good quote from Warren Buffet, “Price is what you pay. Value is what you get.” You should choose carefully to invest in a good company. I wonder if the costs of hiring an investment adviser outweigh the additional returns received.